Regalia Banquet, Mayapuri is one of the most stunning banquet halls in Delhi. It is located at a close distance from Mayapuri Metro Station and Deen Dayal Upadhyay Hospital which is well-known among the locals. 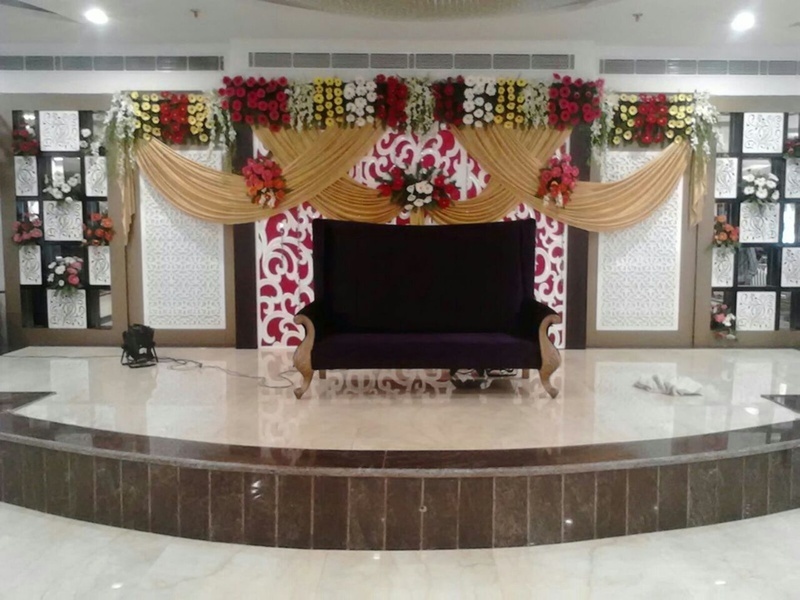 Regalia Mayapuri has three party areas that are perfect for hosting the wedding of your dreams and also the different functions like sangeet or mehendi. The in-house caterer offers mouthwatering food to their guests and they also offer customized packages for every client. You need not worry about the decoration as the expert team at Regalia Banquet Hall takes care of the decoration for the big day. The venue offers complimentary changing rooms for the bride and the groom for their special day. Regalia Banquet Hall Mayapuri serves ample car parking space for their guests for their convenience. The spacious banquet halls can accommodate a huge crowd for a grand wedding. The venue has an elegant décor with huge chandeliers giving it an inviting ambience. If you are looking for an overnight wedding your search ends here at Regalia Banquet Delhi. Regalia Banquet is one of the most beautiful banquets in Mayapuri. 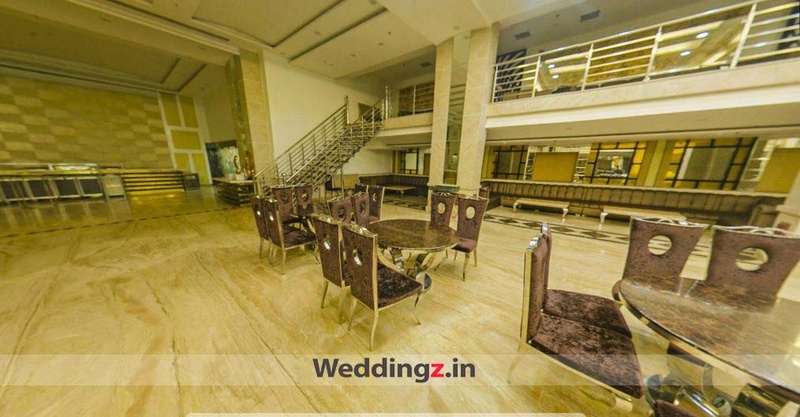 The venue has spacious banquet halls with separate buffet area. The Regalia Banquet located in Mayapuri, Delhi has Banquet Halls. Second Floor can accommodate upto 220 guests in seating and 400 guests in floating. First Floor can accommodate upto 300 guests in seating and 550 guests in floating. Ground Floor can accommodate upto 150 guests in seating and 300 guests in floating. Vegetarian and Non Vegetarian food is served at this venue. 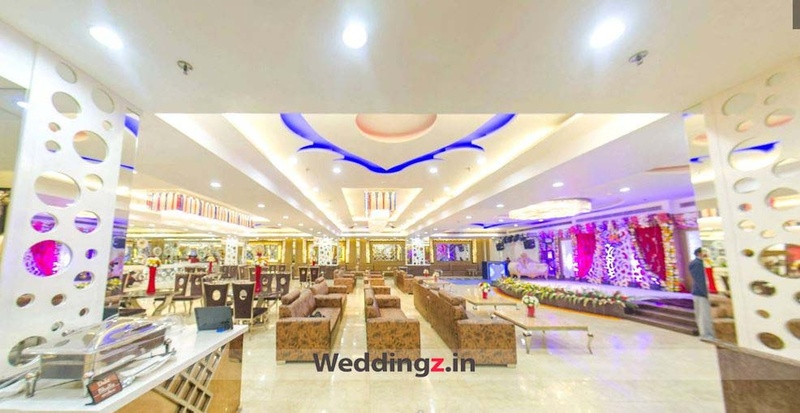 Features of this wedding venues are : Food provided by the venue , Non-Veg allowed at the venue , Alcohol allowed at the venue , Outside alcohol allowed at the venue , Music allowed late , Halls are air Conditioned , Ample parking , Baarat allowed , Fire crackers allowed , Hawan allowed , Overnight wedding allowed , Decor provided by the venue , Packages starts at Rs 1500 per plate for vegetarian menu and at Rs 1700 for non veg menu. Decoration starts at Rs 35000.